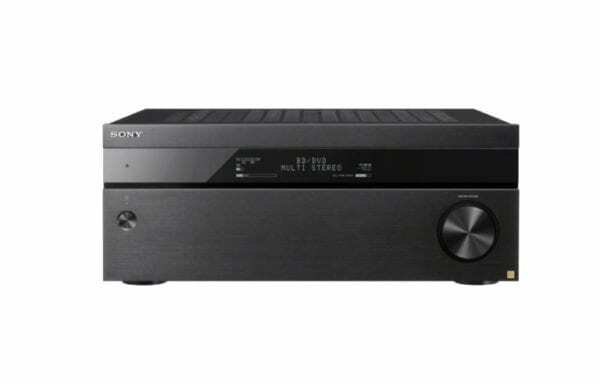 Optimize your surround sound experience with this 7.2-channel Sony A/V receiver. It supports Dolby Atmos and DTS:X audio for seamless integration with 4K and HDR movies, and it has five HDMI ports to connect with your full-range home theater system. This Sony A/V receiver works with multi-zone audio systems through its Music Connect technology. Includes HDMI 4K Ultra HD and 3D pass-through technologies for compatibility with 3D TVs, Blu-ray players and gaming consoles and 4K Ultra HD TVs.